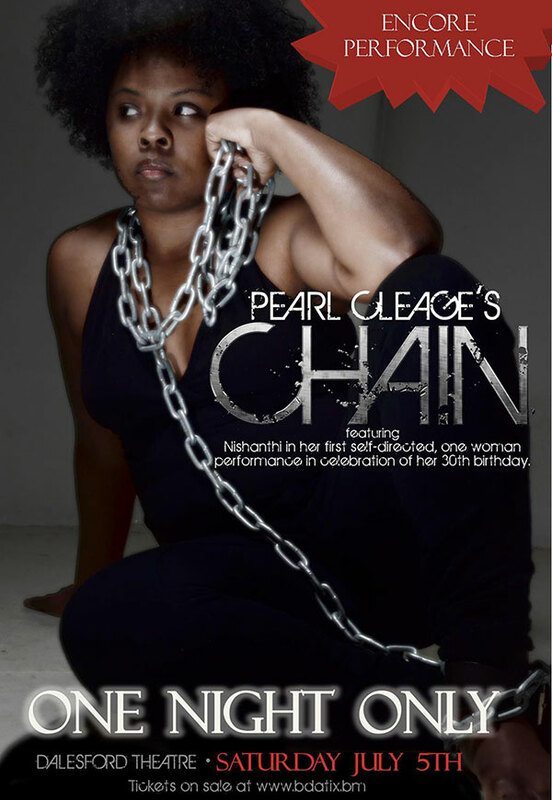 Following on the success of her recent performances of the one-woman production “Chain,” local actress Nishanthi Bailey will be holding an encore performance on Saturday night [July 5]. “Chain” will be presented exclusively at the Daylesford Theatre on Washington Street in Hamilton, located behind City Hall, beginning at 7pm and 9.30pm. Tickets are available from Pulp and Circumstance in the Washington Lane or bdatix with general admission for $30 and patron tickets for $60 with priority seating and complimentary beverage. About the play written by Pearl Cleage, a spokesperson said, “Rosa Jenkins is a 16-year-old crack addict living with her parents in Harlem. Rosa’s father has chained her to a radiator in their apartment to cure her after rehabilitation has failed.